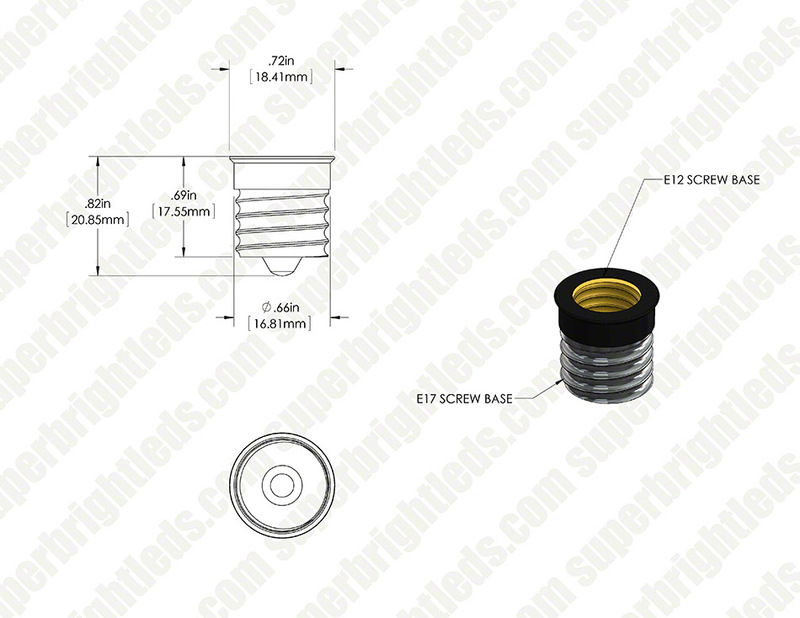 E12 female base to E17 male base socket adapter. Price for each. After searching relentlessly for an LED bulb solution for my Over The Rang Microwave's nightlight, I gave up. LED bulbs just don't seem to be made yet for that odd, oversized appliance base. So, I used this adapter and an LED candelabra based bulb instead...and voila. 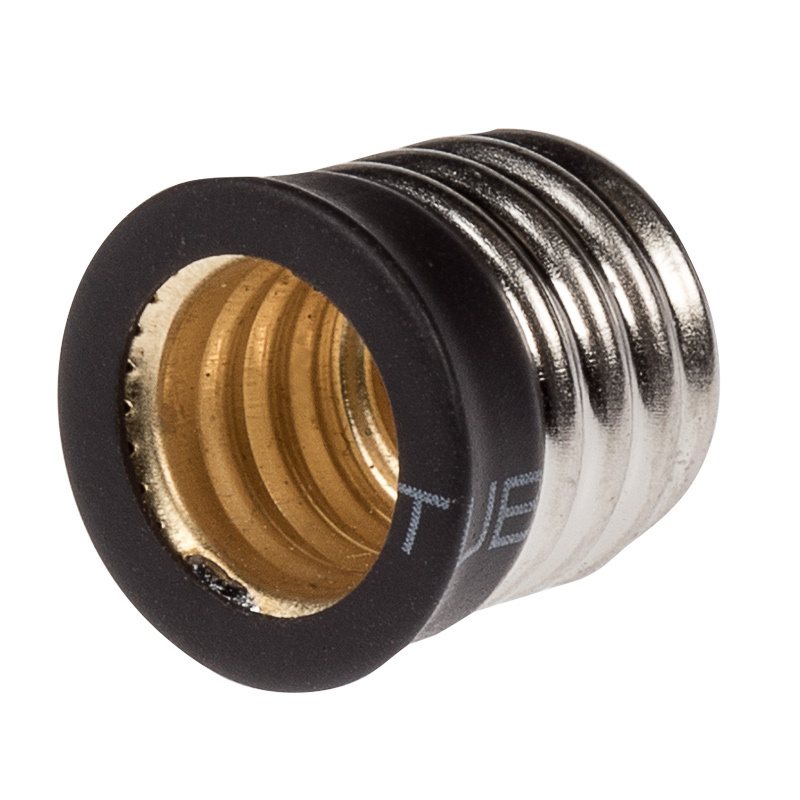 This is a great solution to fit E12 bulbs in odd E17 fittings, no complaints! I recently purchased a T8 type bulb not realizing they had different Base sizes for the bulbs since they were all the same size on the site. 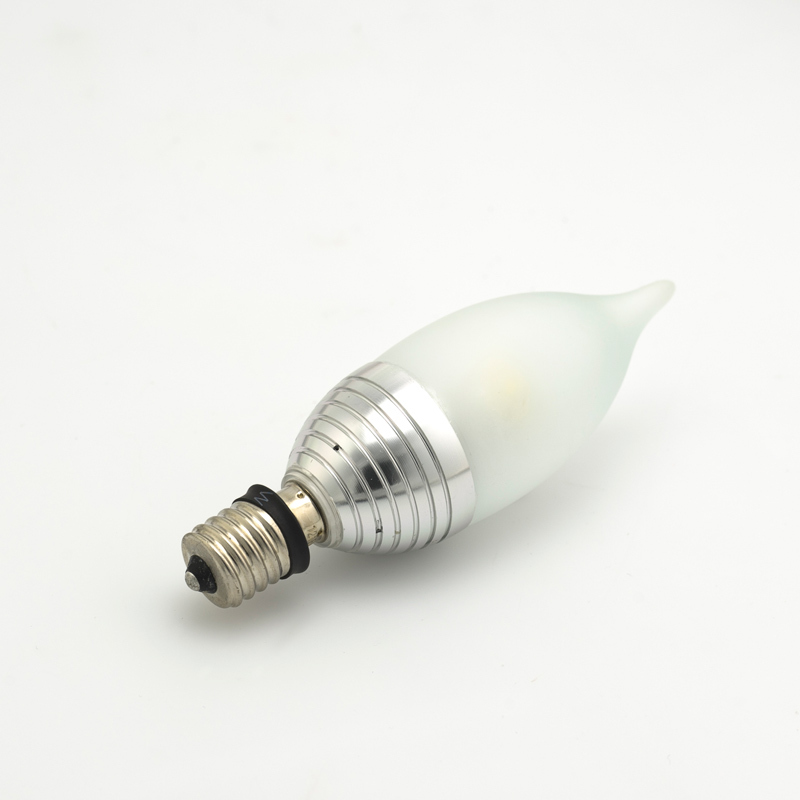 Turns out, the bulbs are not made yet in LED for Appliance/Microwave E17 Base T8 bulb. The bulbs I purchased were T8 bulbs, but with an E12 base. 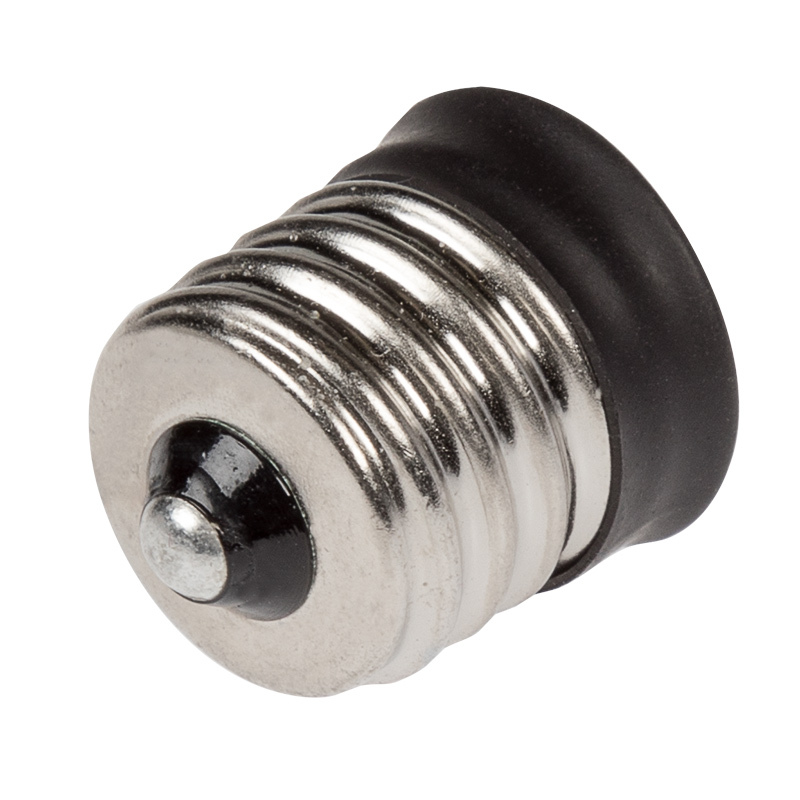 Luckily for me I found these E12 to E17 adaptors. Was kind of iffy on whether these would extend the bulb. 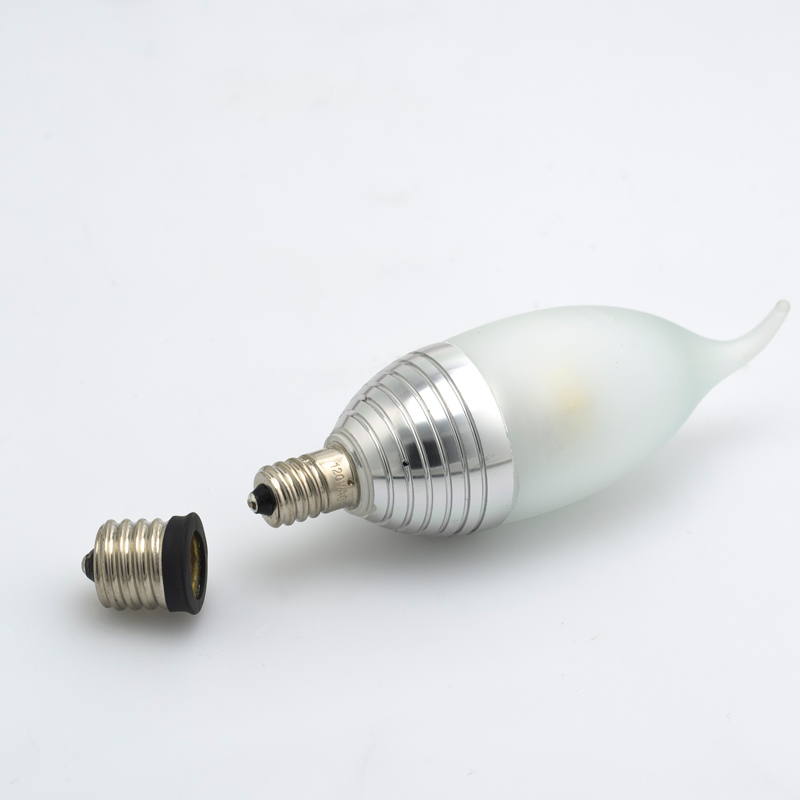 They do extend the bulb, so your bulb will be longer because of the adaptor. So make sure you have sufficient space. The bulb was a bit snug in my application maybe because I was using a candelabra, But seems to work just fine for lighting over my stove top. 1.9 Watts instead of the original (2) 40 Watt bulbs I had before. Id say it was worth it.